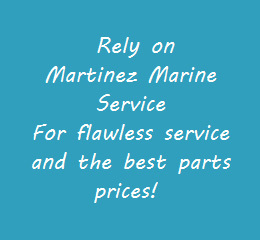 Martinez Marine Service was founded by "Don Chago" Over 30 years ago. His vision was to offer the boating industry with personalized service and top-quality marine products. Since the early development of the company, the name of Martinez Marine has excelled within the boating industry. This family owned business, laid the foundation to become a top service provider and distributor with quality manufacturing and supply companies in the US and around the world. This provides our customer quality products and service at the best price possible. With the opening of our new location, suite # 2 at Marina Puerto Del Rey in Fajardo, PR. Martinez Marine has diversified its business. When it comes to service, it's our last name that comes first.